Is Henry Tilney gay? Find out our final take! Finally hear our crazy accents! This was so fun to listen to! You guys sound very different than I imagined. I did hear a little hint of an accent there, but not too much. You guys are really funny together! 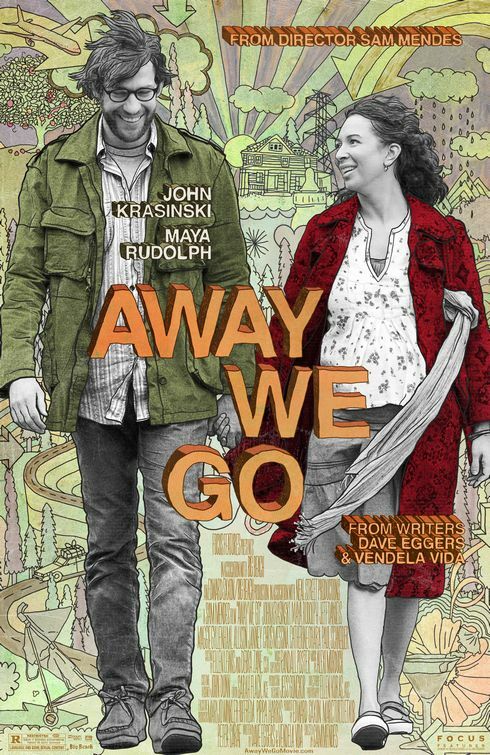 I had not heard much about Away We Go, and had no idea that Dave Eggers wrote it. I don’t like him very much either, but I do like Maggie Gyllenhaal, so I might give this movie a chance. 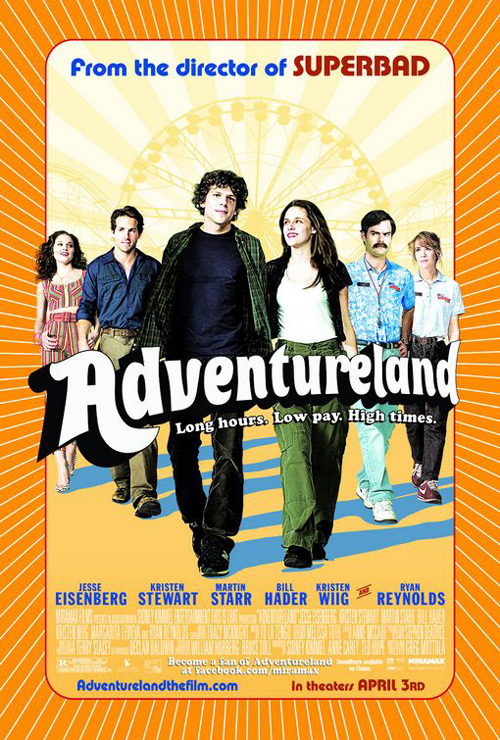 As far as Adventureland goes, I think I will skip it. I don’t like the actress that plays Bella in Twilight, so I think this movie would annoy me for that fact alone. 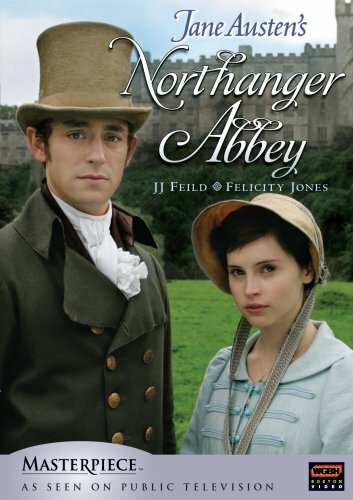 I am planning on renting Northanger Abbey after reading the book, and I think that this part of your podcast was the section that I liked the best. 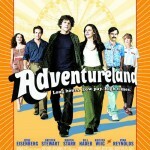 We recently saw Avatar and Holmes, and I am wondering if you are planning on seeing either of these movies? I would be really interested to hear what you think of them if you do. I really liked this feature, and really hope you guys will do it again! hilarious. i’d subscribe and put you guys on my ipod.I especially enjoyed the ‘james krasinski’ argument. this weekend I watched Julie & Julia and thought it was cute and funny (better than the book). I was in the mood for light and romantic fluffy movies and was even considering going to see Leap Year (I know, it was a strange mood) but ended up watching Matchmaker with my hero Janeane Garofolo (I can never remember how to spell her name). That movie is so bad, it’s fabulous. I’m so glad I own it. best $4 ever spent. It was great to hear your voices! I enjoyed listening to you, but have to admit that I often find it difficult to listen to things, as my two boys are so noisy! I would struggle to listen every week, but that is no reflection on the quality! I am amazed that you watch 4 films a week on top of your reading/blogging. I struggle to watch 2 a month! 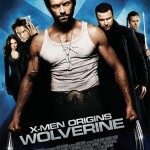 The others I know about, but will be avoiding Wolverine! 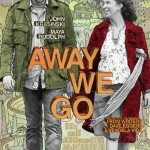 I hadn’t heard of Away We Go before, but am tempted to watch it now. @ zibilee: Glad to hear you enjoyed this! I was initially not enthusiastic about Avatar because I thought it looked dumb… but I’ve heard nothing but good things from people I know who’ve seen it so, for curiosity alone I think we will see it. Conversely, haven’t heard much about Holmes that’s been all that good, but again, I think it’s one we will see – definitely at home, if not in theaters. @ L’Ell: Make no apologies for the Matchmaker! I know I have a copy of it as well – courtesy of you (though you know that my go-to rom com is pretty much always When Harry Met Sally!)! @ Jackie: Thanks for listening – we had a lot of fun making this! I realize that it might be hard for people to listen every week, but perhaps if you notice that we’ve watched something that you are particularly interested in you can listen on those weeks. I think you should try to make this every week – this was quite fun and I’d love to subscribe the podcast through itunes. I recommend seeing Avatar – it’s not worth the story but the graphics are amazing. Of the movies you talk about here, I’ve only seen Away We Go. 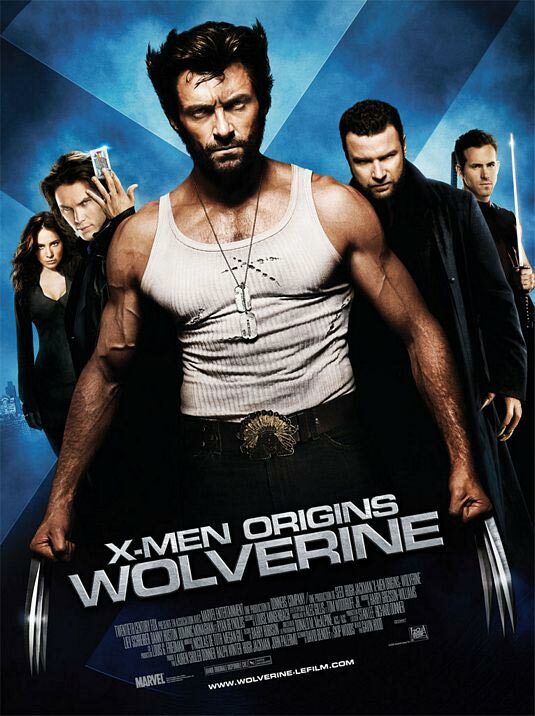 I really enjoyed it while I was in the middle of watching it, but the more I thought about it later, the more I came to dislike it. What bothered me was that it felt like such an unrealistic fantasy — that the two of them were in their own world and they didn’t need anybody else and nobody else really mattered, and it struck me as simplistic and untrue. It was a charming fantasy, but ultimately I didn’t like the fantasy element. @ Greg: I’m so glad to hear you enjoyed this feature! We are looking at ways to improve the playback interface for our next installment, preferably something that allows people to rewind or note the time should they not be able to listen in one go. And Avatar is on the roster… not sure when we’ll see it, but it’s as good as done at this point. @ Dorothy: Yes, I think there were some realistic elements that were left out of AWG, one of which we touched on in our rundown: what was their financial situation and how were they prepared for a baby? Ultimately, while I think we were supposed to find the couple romantic and inspiring (don’t need to get married because they love each other so much they don’t have to prove it), I thought there were elements of their life that were very sad and not to be emulated. Love the podcasting! My internet connection crapped out so I haven’t heard it all yet, but I think it’s a great idea that you should definitely keep up! This is JUST like all the recordings you made for me when i was in France (which i’d affectionately dubbed “Best Mail EVER”) and i LOVE it and it’s just exactly what i needed after a long day at work! @ Sim: Hopefully we’ll be able to give you some good ideas for movies to seek out in the coming weeks! I’m so glad you’re enjoying it! @ taryn: I totally had flashbacks to my “Dear Taryn” recordings of third year while we recorded this! I’m glad it has made a long day a bit brighter, and as I said to Simona, hopefully it will give you some ideas of things to rent (or not) when you have the occasional night in! Fabulous! Steph, you sound exactly like I thought you would – too cute! I love this idea. My boyfriend and I live together and watch a LOT of things over the week but mainly TV shows (from States) on DVD/downloaded although we own a lot of movies and try to watch them when we can. This was very amusing to listen to and I loved your exchanges and playing off one another. The “Dave Eggers and I are not BFF” quip made me snort as did the vapid Kristen Stewart discussion and the “expecting unexpectedly good”. Oh, and your P&P adaptations comments cracked me up and I wholeheartedly agree! Yeah, I’m a fan of this new feature :). @ Claire: So glad to hear you enjoyed this and that you found it so humorous! We watch a lot of TV shows too, but I think it would be too much for us to handle if we started including commentary on those as well! I think for the sake of bandwidth and with respect to our readers’/listeners’ busy lives we’ll stick to movies for now, but I suppose if we were to watch a bunch of episodes of a show on dvd or something we might mention that.